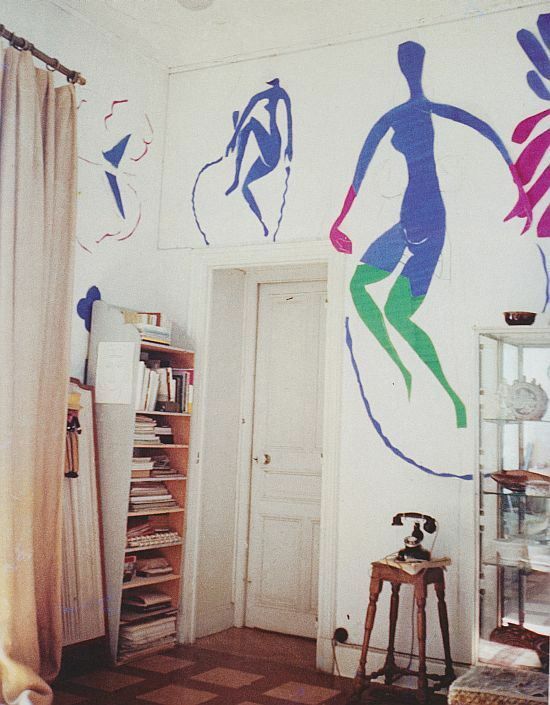 Henri Matisse created his cut-outs in three different studios. In 1946 he developed Oceania, the Sky and Oceania, the Sea on the walls of an apartment at 132 Boulevard Montparnasse, Paris. 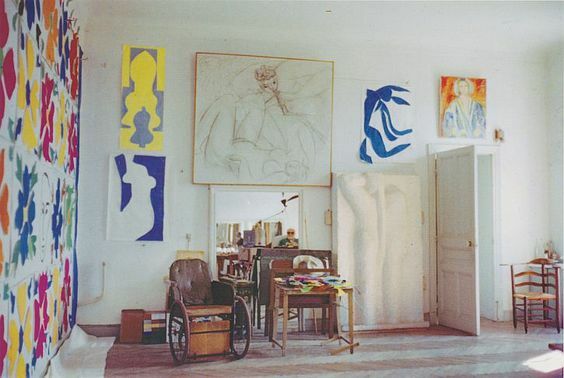 Towards the end of his time at the Villa le Rêve, in Vence, where he lived and worked between 1943 and 1948, Matisse covered its walls with vibrantly colored cut-paper forms. From 1949 until his death in 1954, Matisse’s cut-outs grew in ambition, expanding throughout the interiors of the Hôtel Régina, Nice. 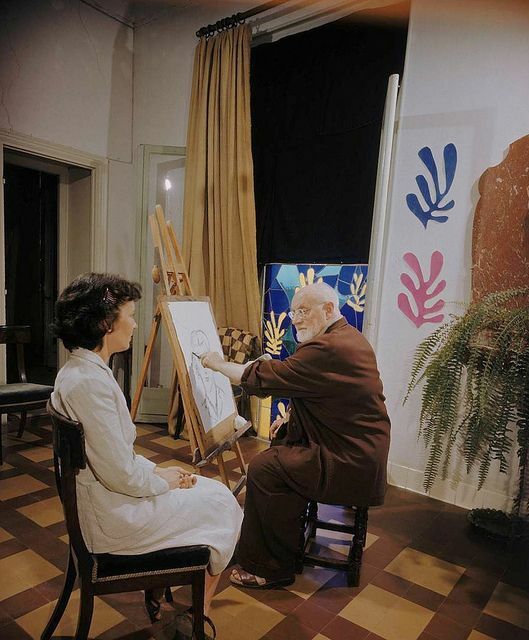 With this body of work, the studio changed from being a subject—as it had been in numerous paintings throughout Matisse’s long career—to a support; the walls of his residences became the grounds for the cut-outs.